Calm your sensitive skin the natural way with the very calming and hydrating Sukin Sensitive Face Care and Body Care range. Why use Sukin Sensitive Skincare products? Skin conditions such as eczema, psoriasis, rosacea and dermatitis can make skin unpredictable and difficult to manage. These conditions can often be exacerbated by using harsh cleansing agents, (some of which are used in bathroom and kitchen cleaners) and additives leading to breakouts and irritations. 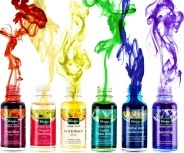 Should you be using these chemicals on your skin? The Sukin Sensitive range may help manage these conditions whilst calming and soothing skin complaints at the same time. Created specifically for fragile skin, Sukin Sensitive range have gentle cleansing and moisturising essentials boast carefully selected actives of chamomile, aloe vera and cucumber. The result? Calm, soothed and balanced skin. 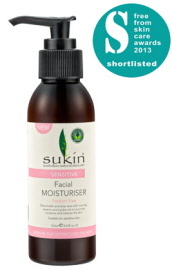 Included in the Sukin sensitive range are the Sukin Facial Moisturiser, Sukin Soap free Body Wash and the popular Sukin sensitive Cleansing Gel. 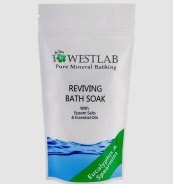 Enriched with aloe vera, cucumber and chamomile for calm and balanced skin. 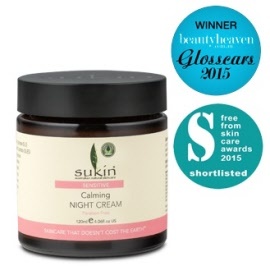 A rich night time moisturiser with calming cucumber and chamomile to soothe the complexion. This nocturnal owl makes the perfect bed time companion and are gently scented with lavender for a perfect nights sleep.